Caffeine is a stimulant that is present in many dietary supplements because it increases the levels of energy. This section includes caffeine free products. It provides 3000mg of creatine monohydrate (Creapure®) per daily dose in vegetable capsules. BCAA's powder with a great dissolution. 2:1:1 rate (Leucine, Valine, Isoleucine). Suitable for vegan diets. Vitamins, minerals, plant extracts, inositol, citrus bioflavonoids, rutin, and coenzyme Q10 . Vegetable capsules. Horsetail extract in vegan capsules. 4000mg per daily dose. Stimulant-free fat-burner. L-Carnitine with Zinc. It provides 845mg of L-Carnitine per daily dose. Liquid L-Carnitine. It provides 1500mg of L-carnitine per serving. With Vitamin B6. I wanted to try a pre-workout but I thought that it would not let me sleep due to the caffeine. However, this product makes me feel active and energised enough to be able to do some exercise every day. The price is also very good, especially when there are discounts. A complete gel, I ordered all the flavors available and they are quite pleasant. I also appreciate the fact that there is a caffeine-free format because stimulants make me feel quite restless. 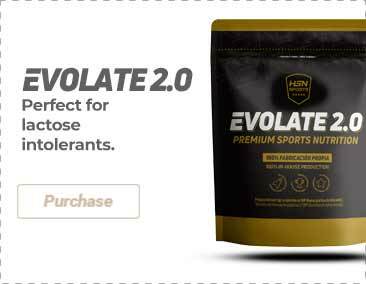 High quality creatine that improves the sport performance. I especially recommend it if you are following a strength routine or if you are looking for that “esthetic” effect. This format is quite comfortable since you can take it anywhere with you. It enhances the muscle growth effectively if it is combined with intense exercise like weightlifting or bodybuilding. I really like the capsule format. Creapure seal at a great price, especially with the discounts.